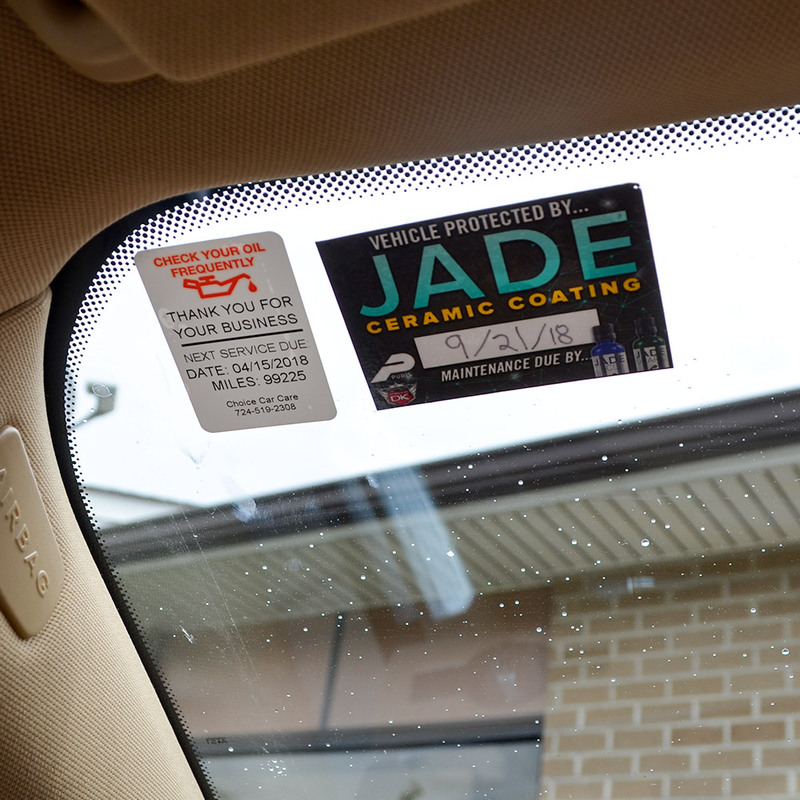 Detail King Jade Certified Installers should place this great looking Jade Ceramic Coating Static Cling Sticker on your customer’s windshield after you have completed your Jade coating service. Place where oil change reminder stickers are placed. This is another innovative marketing tool from Detail King to keep your customers returning for a maintenance Reboot and an effective way for your customer to quickly provide your contact information to their vehicle admirers. 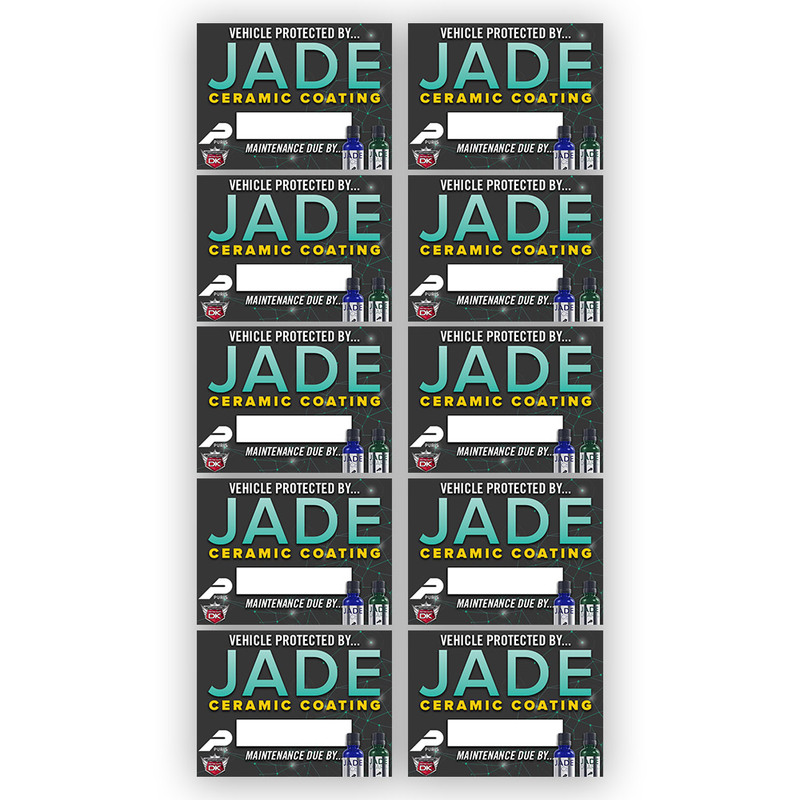 Our Jade Ceramic Coating Static Cling Stickers are sold in sets of 10 and are delivered to you thru the Postal Service. 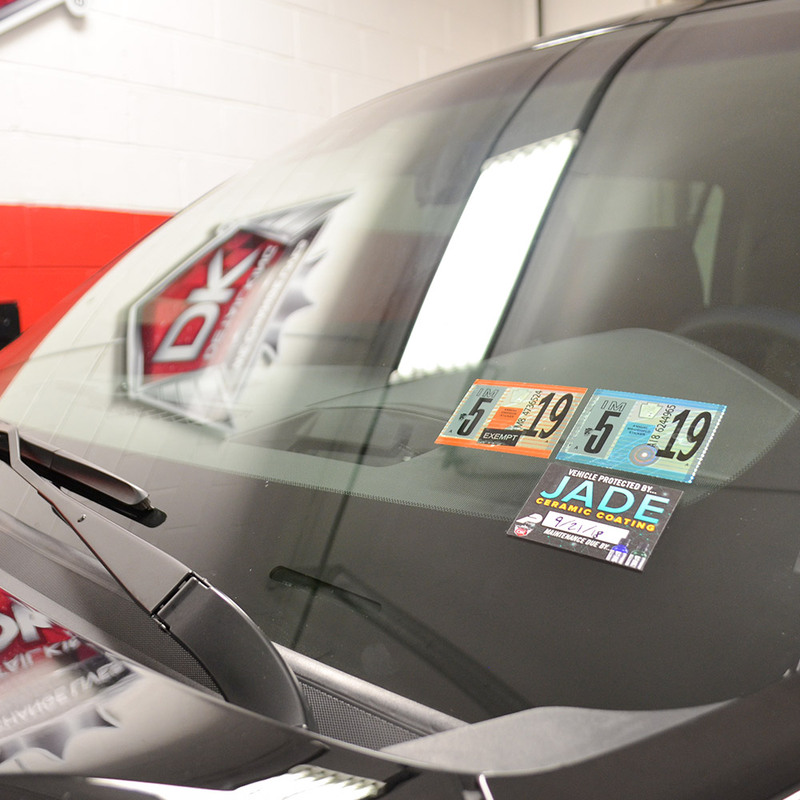 Ensure that your customers never forget about their next Jade Ceramic Coating Maintenance service!